Although there’s a link (or two) to the likes of the Medway Scene, Billy Childish’s work and interconnected British beat style garage punk – includingmore than a nod or two to the past but often reimagined, sometimes shared musicians – but it is also a very different kettle of fish to the noir-ish glamour of my own work and many of the cultural reference point that can be found around these parts. 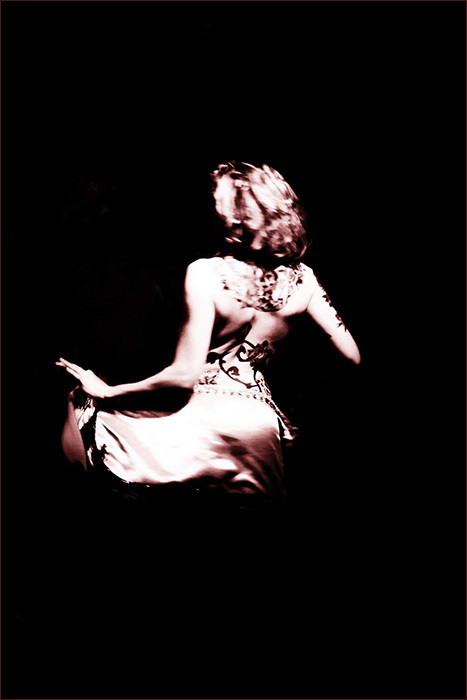 Talking of which (and indeed reimagining of other eras and dolly birds) this is probably one of my favourite photographs from what has come to be known as the Medway Scene. 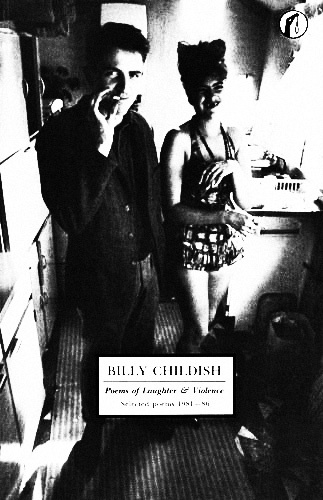 It’s a photograph that was used on the cover of Billy Childish’s book Poems Of Laughter And Violence and was taken by Eugene Doyen, whose images from the time seemed to very much capture the heading towards but not quite mod, actually much more kitchen sink-esque aesthetic of that time, work and place. The photograph seems to capture a playful, cheeky youthfulness but one that seems to belong more to a time prior the advent of mass youth culture, that’s borrowed – or inherited – and is proud of it’s grandad’s clothes (and has maybe also raided the wardrobe of older female family members but way back in the day). This was youth culture that would be more likely to be found sipping a cup of tea in a local caff than swilling cocktails down the latest club. 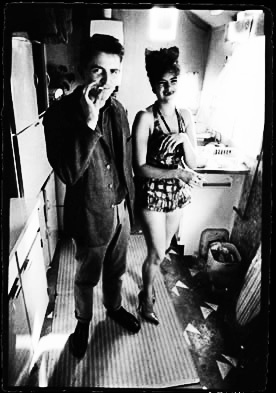 You can see/read a bit more about Eugene Doyen’s photographs from the time (1982-1986) here and see some of his work from that period and later adorning the covers of some of those earlier mentioned beat style garage punk gents and gals here.